When it comes to medieval monarchs, the typical names that always pop up are William the Conqueror, Eleanor of Aquitaine, Vlad the Impaler, Richard the Lionheart, Elizabeth 1, Alexander Nevsky, among others. A glaring omission is always Margaret I. For the rest of the article I’ll use this the proper Danish spelling of Margrethe. In 1353, Helvig of Schleswig, wife of Danish king Waldemar 4th Atterdag (pronounced Valdemar), gave birth to her 6th and last child. Margrethe was born in the royal estate at Vordingborg, Denmark. Her father was of the House of Estridsen. This family had been in power in Denmark since 1047, starting with Thorgil Sprakling. Waldemar was called Atterdag. The exact meaning of Atterdag is lost. 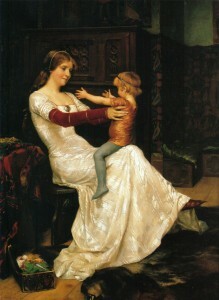 Margrethe’s mother was forced into the Esrum Abbey. Waldemar accused her of having an affair. Helvig was quickly replaced with a mistress, Tove. Margrethe’s early life isn’t well-documented. 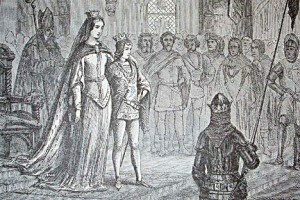 On April 9, 1359, her father arranged a marriage between her and the Norwegian king (since 1355) and Swedish Prince Haakon 6th. This was part of an alliance treaty. The tracks were now laid for Margrethe’s eventual rise to power. She and Haakon didn’t speak or communicate much leading up to their marriage. In 1362, Haakon was crowned king in Sweden. This wouldn’t last long. His reign was a mere 2 years. 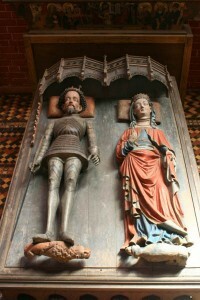 Haakon and Margrethe married in Copenhagen in 1363. She still lived with her father for a few years after getting married. Only a year later, Haakon lost the Swedish throne to the Mecklenburg’s Albert 2nd. Albert was Margrethe’s cousin through her paternal aunt, Euphemia. The Mecklenburgs would remain a constant thorn in Margrethe’s side for the coming decades. Margrethe managed the country well and expanded royal power. She built a reputation as an autocrat and someone no one questioned. Things took a dark turn on May 1, 1380. Haakon died. The exact cause of death is not known. She didn’t remarry after his death. Olaf was crowned King Olaf IV of Norway. Norway had strict rules with ascending to the throne, women were not allowed to be the primary regent but since Olaf was still a child they allowed Margrethe to reign in his place. She successfully ran these two countries for the next few years. There were some hiccups during this time. The Hanseatic League, a powerful association of merchants with political power, had taken Danish land in 1384. They never wanted Olaf to be Danish king and had been working with the Mecklenburgs to dispose Margrethe. In 1386, she retook all the land she gave up to Albrekt and threw him out of Denmark. 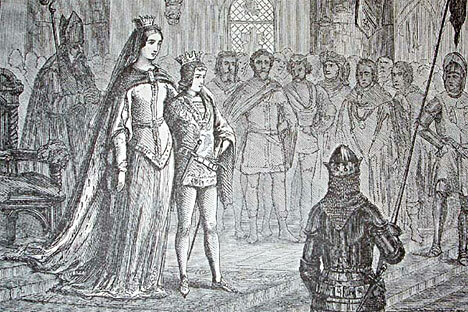 In 1385, Olaf ascended to the Norwegian and Danish thrones but she was the power. Olaf died suddenly on August 3, 1387. Exactly one week after this, she was made the “Kingdom’s Guardian,” by the Danish Danehof. Her official title was, “Lady and the Householder.” She had all the powers of a queen except the title. Norway followed suit a year later and let her keep ruling. Her Norwegian title was, “Mighty Mistress and Master of the House.” She had the powers of a queen but not the title. In order to make sure she had a power base, she adopted her nephew Erik of Pomerania. He was heir to the Swedish, Danish, and Norwegian thrones. His birth name was Bugislav, she changed it to the more common name of Erik. The Swedish nobility was divided at this point. Half of them supported Margrethe and the other half supported King Albrekt. They chose Margrethe to rule Sweden. Albrekt rebelled with his own army and German allies in 1389. Margrethe fought back with a combination of Norwegian, Danish, and Swedish forces. After a few months her military had captured Albrekt and crushed the rebellion. She was now officially Queen of Denmark, Norway, and Sweden. After 6 years of being a captive Albrekt was freed according to the Compact of Lindholm. The Compact stated, he had to pay Denmark 60,000 silver marks within 3 years. If not, she gets Stockholm. Albrekt failed to pay in time so Margrethe got Stockholm in 1398. She only had power as long as Erik was still underage to be king of Denmark, Norway, and Sweden. In order to solidify her position, she planned on unifying her kingdoms she ruled when Erik was crowned in the all 3 nations. He became Erik VII of Denmark and Erik VIII of Sweden in 1396. A year later he became Erik III of Norway. On Trinity Sunday, June 17, 1397 a congress of representatives from Denmark, Norway, and Sweden agreed to unify as the Kalmar Union. They met at the Kalmar Castle in Sweden. The actual Treaty of Kalmar was never completely ratified and was only a single draft and then sealed away. He was not the king of Kalmar Union yet. Under the Kalmar Union, the 3 countries were in a defense alliance. It functioned similar to NATO. Each nation was basically independent but still identified as a unified political body. They still had their laws, culture, customs, militaries, and the like. Technically, it began in 1389 in the fight against Albrekt. The main purposes for the Kalmar Union was to maintain peace in Scandinavia and centralized her power. Erik took over the Kalmar Union in 1401. Margrethe was still the real leader that managed the Union. Erik was more or less a puppet king. During her reign, she renovated the Danish economy by replacing copper coins with silver coins. This boosted the economy and Denmark as a whole. The Catholic Church became a strong presence in Scandinavia. She built many churches and donated to the Catholic Church. Margrethe made it a point to stay out of international business as a whole. Margrethe refused alliances with other nations. Margrethe is the only queen to reign in Norway, first of only 3 queens to reign in Sweden, and first of only 2 queens to reign in Denmark. 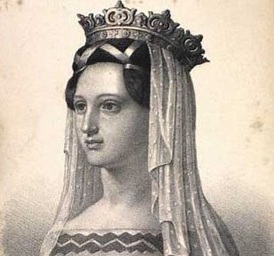 She left her mark on Scandinavia and Europe’s history as one of the most powerful women and monarchs. 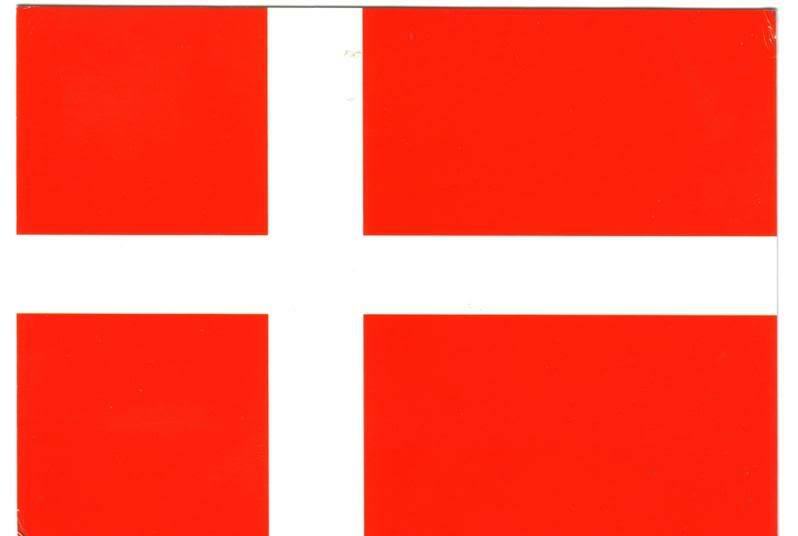 The Danish Flag was used as the Kalmar Union flag. Her private life is largely unknown. She was both a powerful public figure and a ferocious force behind the scenes. 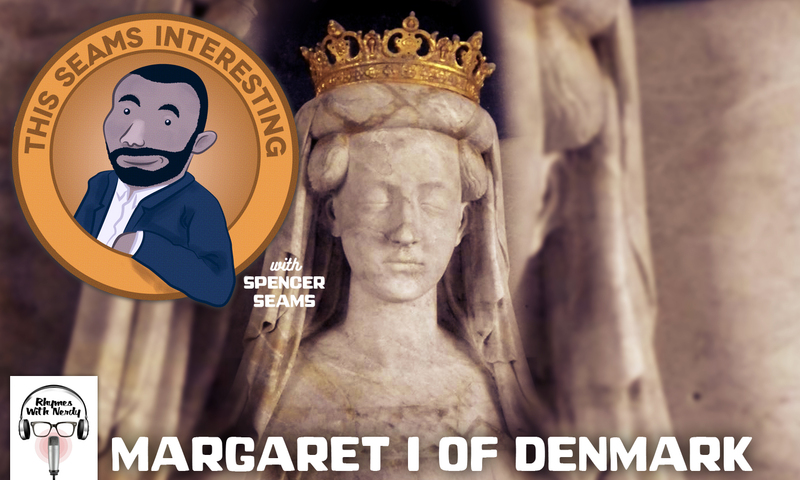 Margrethe’s legacy and achievements are largely overlooked. She deserves to be remembered as one of Europe’s most influential and powerful leaders. Margrethe I died suddenly from unknown causes onboard her own ship in Fleusborg harbor October 28, 1412. I want to be known as Mighty Mistress of the House. Great work, Spencer!